Model 3 Mid Range loses the top spot to Long Range. but does better than All-Wheel Drive Models. 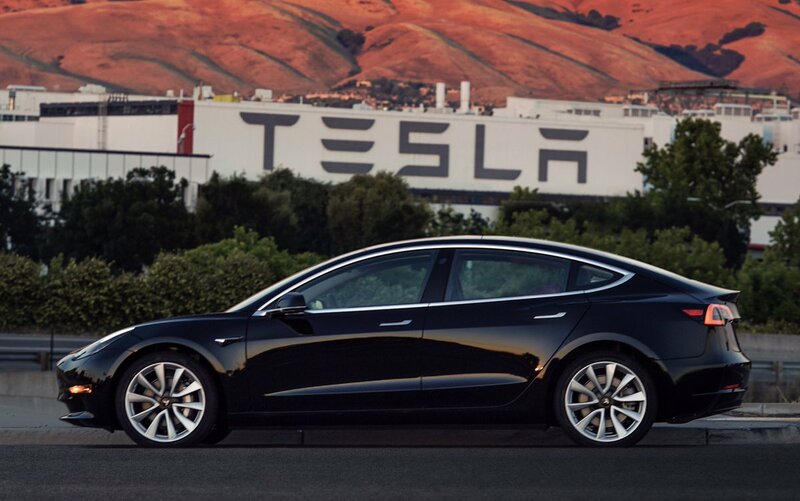 Tesla’s recently launched Model 3 with a “Mid-Range” battery pack received an official EPA rating of 123 MPGe (combined), 128 for city driving and 117 for highway driving. The Mid-Range battery pack’s EPA rating slots it in the second position, behind Tesla Model 3 Rear Wheel Drive Long Range Model, but ahead of the two All-Wheel Drive Models, Model 3 AWD and Model 3 AWD Performance. Tesla’s cheapest sedan also has better EPA rating than GM’s Chevrolet Bolt which offers 119 MPGe (combined), 128 for city driving and 110 for highway driving. The Mid-Range model 3 offers only 260 miles range compared to 310 miles offered by other models, but it’s also the cheapest at $46,000. Although Tesla didn’t specify Model 3 battery sizes, according to media reports, long-range model 3 is powered by a 75 kWh battery pack while the mid-range model uses a ~60 kWh battery pack. To keep a check on cost Tesla did not software limit the 75 kWh battery packs and install them in the mid-range model. Instead, the company reduced the cells in the battery pack. When asked for details about the mid-range battery, Elon Musk said ” It’s a long range battery with fewer cells. Non-cell portion of the pack is disproportionately high, but we can get it done now instead of ~February. That’s why the mid-range and long-range models MPGe didn’t vary by a considerable margin, 27 kWh/100 miles vs 26 kWh/100 mi, a difference of 1 kWh per 100 miles driven.